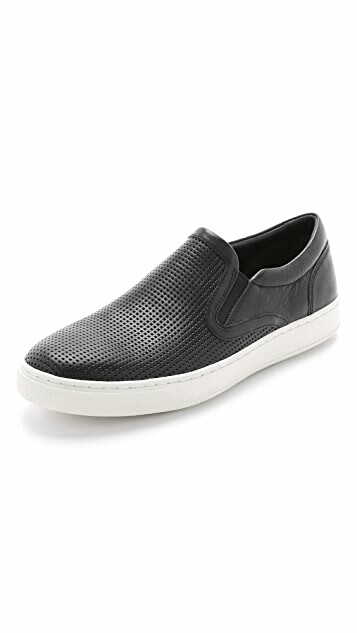 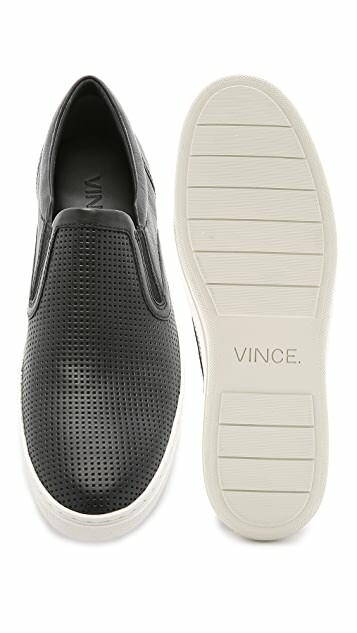 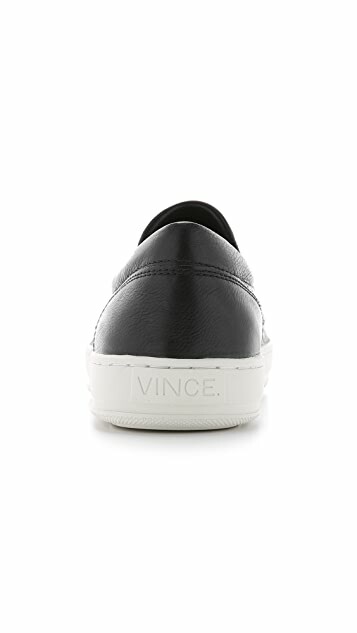 Perforated texture and a full leather sock liner bring a luxe touch to these Vince slip-ons. 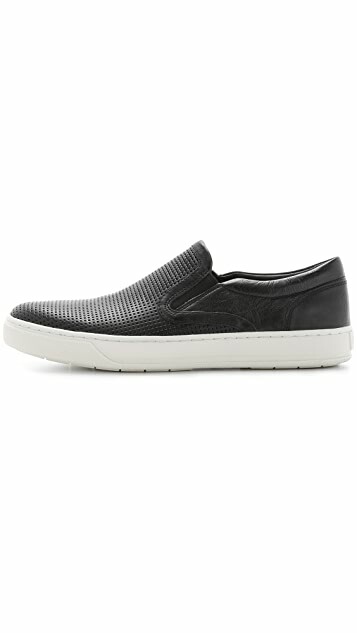 Elastic panels on the instep secure the foot. 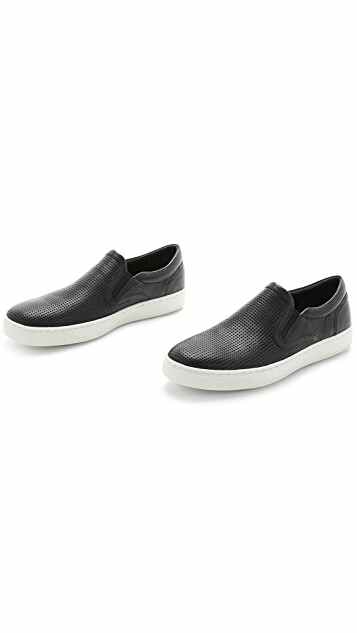 Contrast rubber sole.